This time of year is Dungeness crab season on the West Coast and chefs go crazy for the plump, sweet-meated crustaceans. You'll find them steamed and roasted whole, you'll find crab meat atop pasta and salads and, at Chippy's in Seattle, you'll find a killer crab roll. “When we were planning Chippy’s menu, I wanted to create something that would really be the signature dish of the Pacific Northwest," says chef Ethan Stowell. 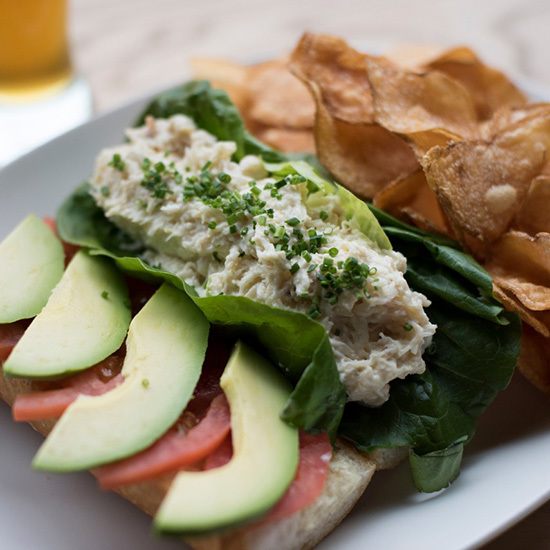 "The East Coast has the lobster roll—now we’ve got the crab roll." The bread. A baguette from Le Panier, a favorite French bakery located in Seattle's famous Pike Place market.